iovation is a provider of fraud prevention and multi-factor authentication solutions and maintains one of the world’s largest repositories of device intelligence. Ahead of Valentines Day 2018, I worked closely with iovation’s Data and Analysis team to identify trends in the data that would support a broader story around the rise of Romance Scams that have grown in prevalence over the past several years. In addition to the blog post (“Sniffing Out Dating Scams with Device Intelligence”), I also defined an accompanying infographic and then used both the blog content and infographic to pitch our key findings to industry editors who regularly cover issues related to security and fraud, a number of which used the blog post and infographic as part of their Valentines Day coverage. 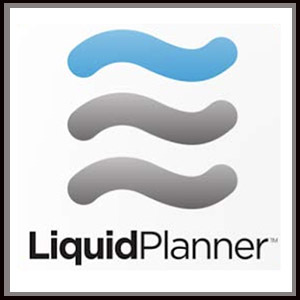 LiquidPlanner was one of my very first clients when I set up shop in 2006 and I’ve worked with them on and off for the better part of 10 years. I’ve written numerous blog posts and case studies over the years for them which served to highlight one of their key differentiators in the crowded online project management category: how their cloud-based solution is uniquely capable of capturing time estimates in ranges rather than best guess fixed point estimates, which is one of the main reasons why the majority of projects miss their deadlines. This particular post (“Buffers and the Mac Tablet: One Thing is Certain”) is somewhat dated as it was published shortly before Apple released its first iPad (before we knew what it would be called!) and it examines the issue of using ‘project buffers’ in schedules to account for uncertainty and what’s at stake when a major brand commits to delivering a product by a specific date. We used this blog post as a dialogue starter with key press targets who were still unfamiliar with LiquidPlanner’s solution. VMRay is an automated malware analysis and detection solution that focuses on helping enterprise security teams quickly analyze and detect advanced and targeted malware strains. The company is headquartered in Germany and recently opened its first US office and consequently, has had little to no exposure to US-based security writers. As a means of introducing them to the core set of security beat editors, I wrote an extensive recap of a educational webinar they held in conjunction with the SANS Institute that detailed the latest trends around Information Stealers and how they were being deployed by threat actors (“Infection to Remediation – Exploring the InfoStealer Kill Chain”). Prior to publishing the blog post (attributed to their Product Manager), I pre-pitched some of the more interesting findings from the blog post and secured several introductory briefings with key security editors from our “tier one” hit list.